What better gift than the gift of seeds? In this day and age, with our ecosystems clogging up with bits of plastic and other unnecessary things, we need to be more conscious of how we gift and celebrate each other. We think (obviously!) that seeds are the perfect gift – they provide a mixture of experience, nourishment, and connection, and because all of our seeds are open-pollinated you can save your own for future use. Seeds are literally a gift that keeps on giving. 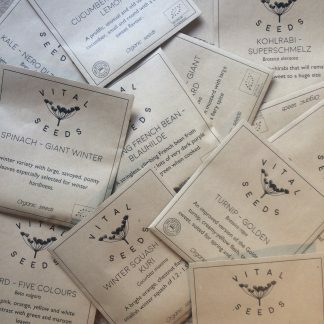 Here you can find carefully selected collections of seeds suited to various purposes, for first time gardeners and growing officniados alike. These collections make the perfect gift for someone you care about (including yourself! 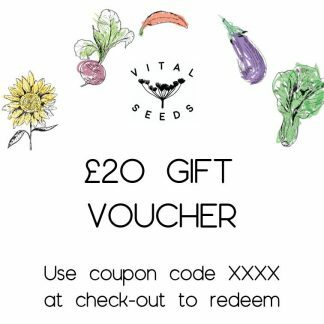 ), you can also find our special Gift Vouchers here which can be used in our shop, just type in the code at the Checkout and the value of the voucher will be deducted from the basket total.